What if I told you that you can learn a simple method that will enable you to control your immune system, create super human strength and stamina, sleep deeply, burn fat, reduce inflammation, have more energy, switch off stress at will and strengthen your nervous system? Sounds fairly compelling, right? 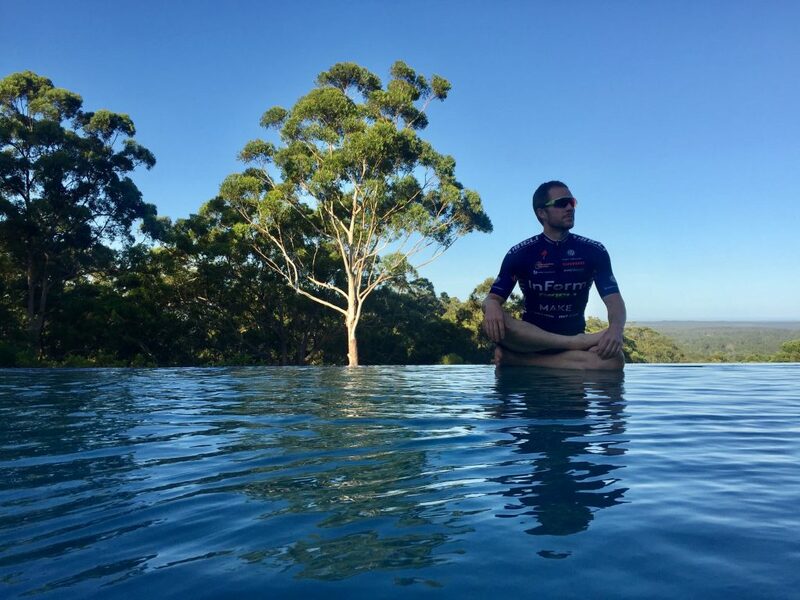 The Wim Hof method, which involves breathing exercises and cold therapy, has been used to improve the performance of several top athletes (including Laird Hamilton), so I have decided to give it a go to see how it might affect my performance. The first time I heard of Wim Hof, aka the “Ice Man”, was on the TV show 60 Minutes several years ago. The program outlined his controversial ways to improve health and well-being and even fight disease. However, it wasn’t until late last year when I was listening to a podcast about Wim’s breathing exercises and cold therapy benefits that I really started to become intrigued. Having more energy and stamina, sleeping better and reducing stress all seemed very appealing to me, but also too good to be true. 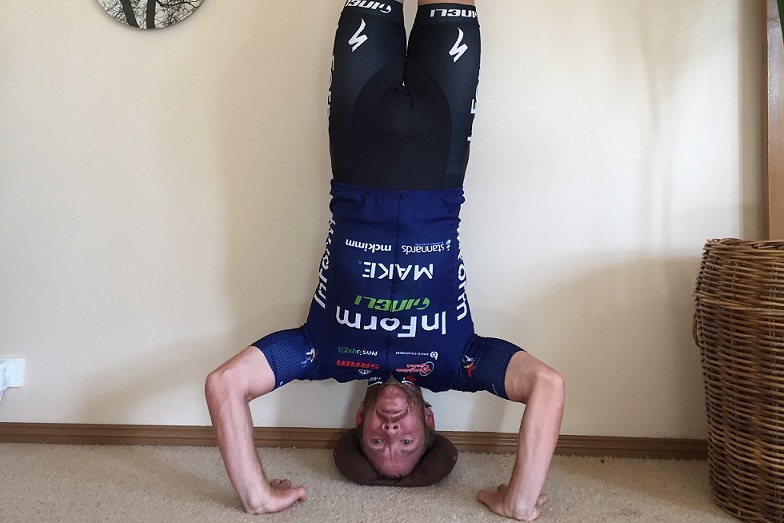 Could this crazy Dutchman’s methods really make me stronger on the bike while helping me reduce the stress and fatigue that comes from trying to squeeze it all in? If I’m to be brutally honest here, my motivation for cycling sometimes sits on a pendulum swing, with the nonstop constraint of available time to train. Having to squeeze in training between family and work commitments and overseas travel can often lead to heightened stress levels, sleep deprivation and fatigue. In the past I’ve attempted to alleviate these negative side effects through meditation and being focused on good recovery plans, especially eating well. However I still find myself sleeping poorly, feeling tired most days and wondering how I’m going to fit in the required effort to achieve my cycling goals. I’m keen to find out if Wim Hof’s method could have an impact on my physical and mental wellbeing. I have signed up for his 10-week course and I’m currently 3 weeks in. You can see some of the exercises I’m doing on a daily basis in the video below and you can research the course in more detail here. Using Wim’s method I’m hoping to find improvements in two areas. Firstly, I’m looking for more power and endurance on the bike and secondly I’m seeking improved rest and recovery. At the end of the 10-week period I should have a clear view on whether this course is worthwhile for people aspiring to be better athletes. Only time will tell. Below is an outline of the proposed benefits of the program. Wim Hof talks a lot about the benefits this method has to the mitochondrial system. The mitochondria are the powerhouse of the body’s cells, turning sugars, fats and proteins into forms of chemical energy the body utilises for physical output. Blood vessels that are either underutilised or stagnant will also be awoken during this process – apparently we only use a certain amount of our blood vessels at any time. 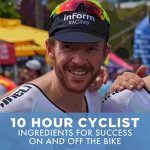 This will increase blood flow and oxygen to working muscles, enabling me to generate more power through the pedal stroke for longer periods of time. The Wim Hof method uses yoga-style relaxation techniques to awaken and regenerate different parts of your body. Having a good night’s rest is not only a great way for the body’s cells to grow, reproduce and eliminate toxins, it’s integral to your output on the bike. The controlled breathing techniques and meditation that takes place following and during some of the physical yoga-like moves in the Wim Hof method, are meant to clear your mind and get oxygen pumping through any tensions that have been created due to stress. In addition, cold water therapy triggers the autonomic nervous system in positive ways. The autonomic nervous system controls many of our body’s involuntary functions such as heartbeat and breathing. Our system apparently responds to cold water by raising blood pressure, increasing heart rate, and constricting blood vessels — responses that strengthen with each cold exposure. Eventually, this process can stabilise blood pressure, improve circulation, and balance the body’s sleep cycle. In part two of this article series I will give you a detailed account of my experiences and performance gains over the 10-week period. Stay tuned! How much do professional cyclists earn? Im a downhill mtb racer and trainer. I use the method for all of the above, plus! Better memory recall and vision in fast trails where a whole lot of data needs to be processed by the brain. I teach my clients the method and have only had great results. Very interesting read. Think I might have to look into this further! I up training for a 150km event in July. Very interesting reading the comments about cardio health. I am looking up Wim Hof now!